Aloe-Jojoba Conditioning Rinse is designed to be used after Aloe-Jojoba Shampoo, and it cares gently and effectively for our hair. Improved formula for superior manageability. Extra moisturizing and conditioning power for soft, shiny hair. 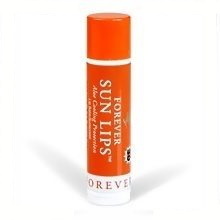 Coats the hair shaft to eliminate split ends. 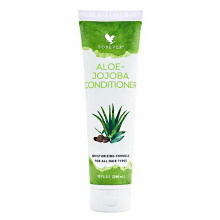 Aloe-Jojoba Conditioning Rinse enriched formula with Vitamin B Complex and Hydrolyzed Protein has extra moisturizing power to leave our hair soft, shiny and manageable. The unique combination of stabilized aloe vera gel and Jojoba , an agent to remove electrostatic charges, conditions the hair to give it a feeling of freshness and a look of silky elegance. So give your hair that salon look and feel with the pH-balanced conditioning treatment of Aloe-Jojoba Conditioning Rinse. After shampooing with Aloe-Jojoba Shampoo, massage Aloe-Jojoba Conditioning Rinse into hair and leave on for 2 to 3 minutes.